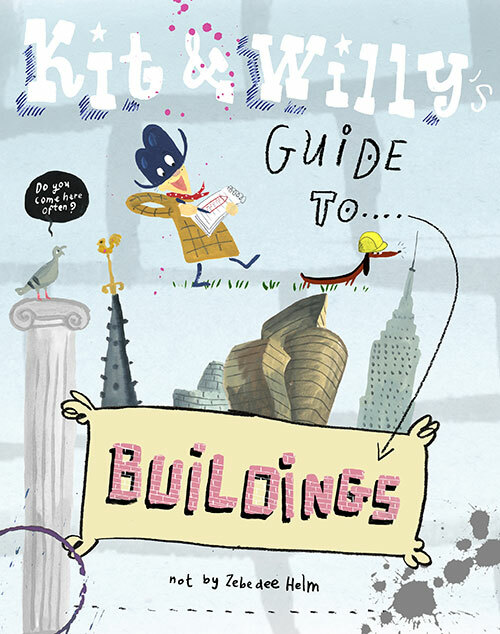 The second volume in Zebedee Helm’s wonderfully irreverent series for young and old alike, Kit and Willy’s Guide to Buildings examines iconic architecture around the world. Told from the perspective of Kit the Montana cowboy and his sausage dog, Willy, children are introduced to signature buildings throughout history. 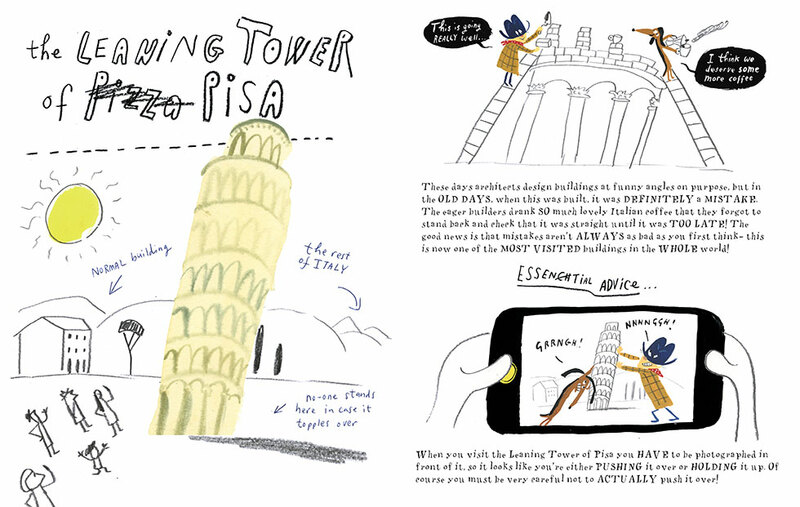 With hilarious commentary and dialogue that teaches as it entertains, we learn that “these days architects design buildings at funny angles on purpose”, but when the leaning tower of Pisa was built, “it was DEFINITELY a MISTAKE.” Added advice for the visitor recommends being “photographed in front of it, so it looks like you’re either PUSHING it over or HOLDING it up.” Full of charming illustrations in the author’s signature style which make this sure to be a classic and a worthy successor to Kit and Willy’s Guide to Art. Zebedee Helms is a UK based illustrator and cartoonist whose credits include The Telegraph, The Times, The Economist, House and Garden and World of Interiors.